happy decanting bear happy hour! Does anything inspire you more to drink cabernet than a snowy winter night? Check out the foot on that woodpile! Decanting while the boeuf bourgignon simmers in the oven. Can’t wait – will post the recipe later because it’s SO good! 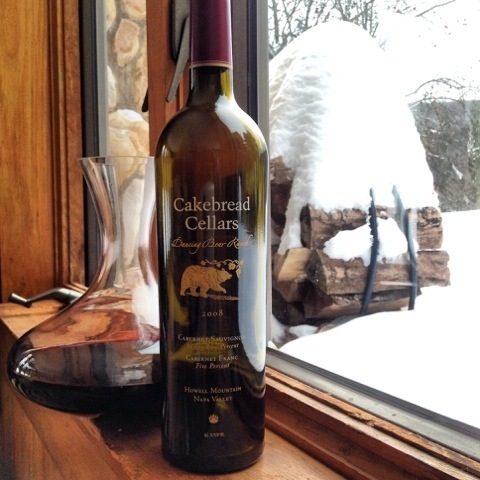 Tags: cabernet, Cakebread, decanting, wine, winter. Bookmark the permalink. Previous post ← happy valentine happy hour! All you’re missing is the hand knitted woollen socks!